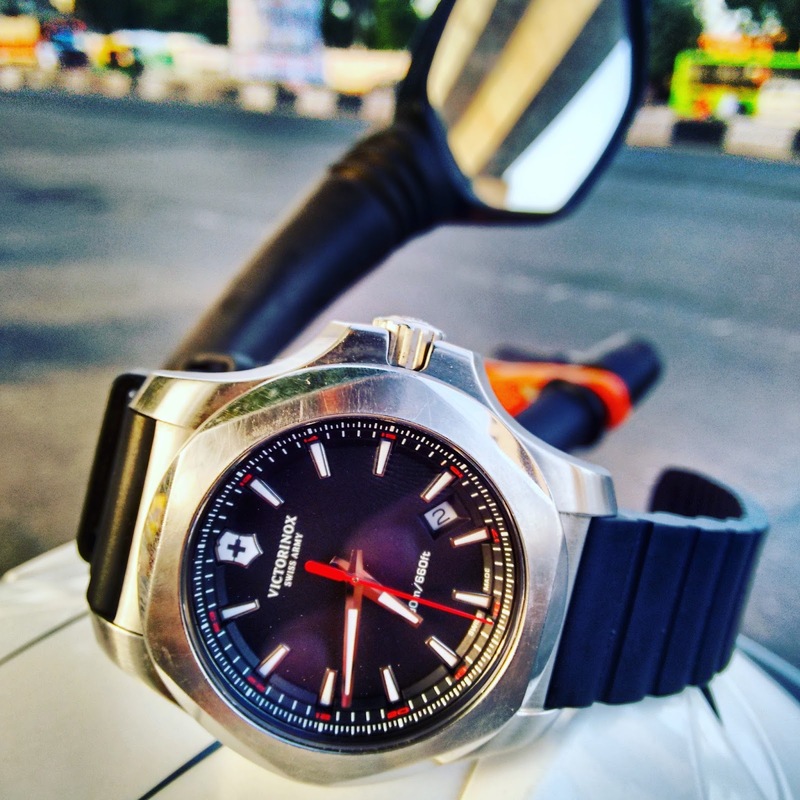 So I was contacted by the Victorinox biker buddy from Twitter to do this activity with Victorinox Inox watch around the theme of outdoors, travel and adventure. He was sceptical if people will sign up for it as there was no benefits involved per say. But some of us agreed to do it in the spirit of biking and adventure. The watch arrived just before in time for my ride to Mathura Vrindavan during Janmashtami festival. 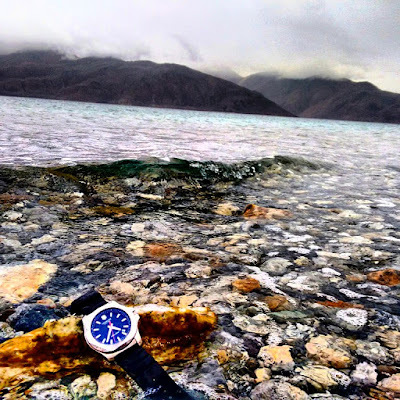 I also got to use the watch for my recent 12 day solo ride to Leh. I was excited already to use this watch now. 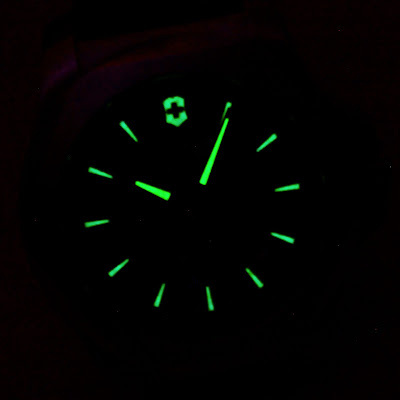 Now more about the watch. 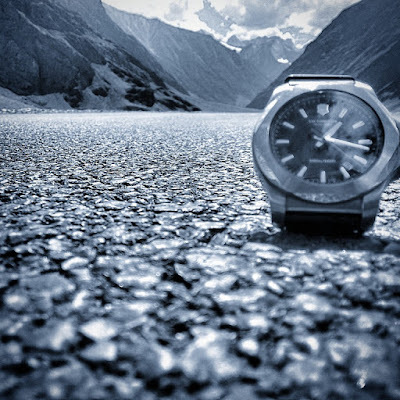 The company claims to have tested this watch under 130 strength and durability tests. Well I don’t even have the list of those 130 tests but I will give the review of real life every day usage and some rough usage during my rides. At first look, the watch looks pretty SOLID and ‘manly’. 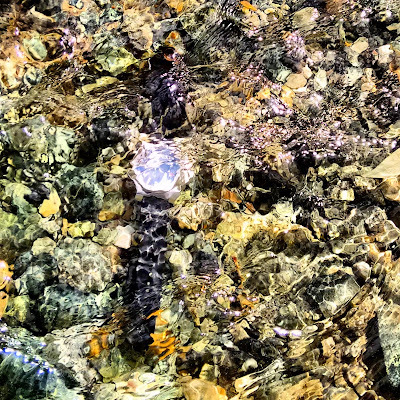 You can tell just by looking at this watch that it’s a watch meant for rugged conditions and usage. The robust solid steel frame looks durable and gives you the confidence that the watch won’t suffer damages in case of falls. The rubber strap is thick and I am sure it won’t face the usual problems of straps getting a crack at the point of bend around the wrist. The dial looks pretty simple and pure to its purpose. 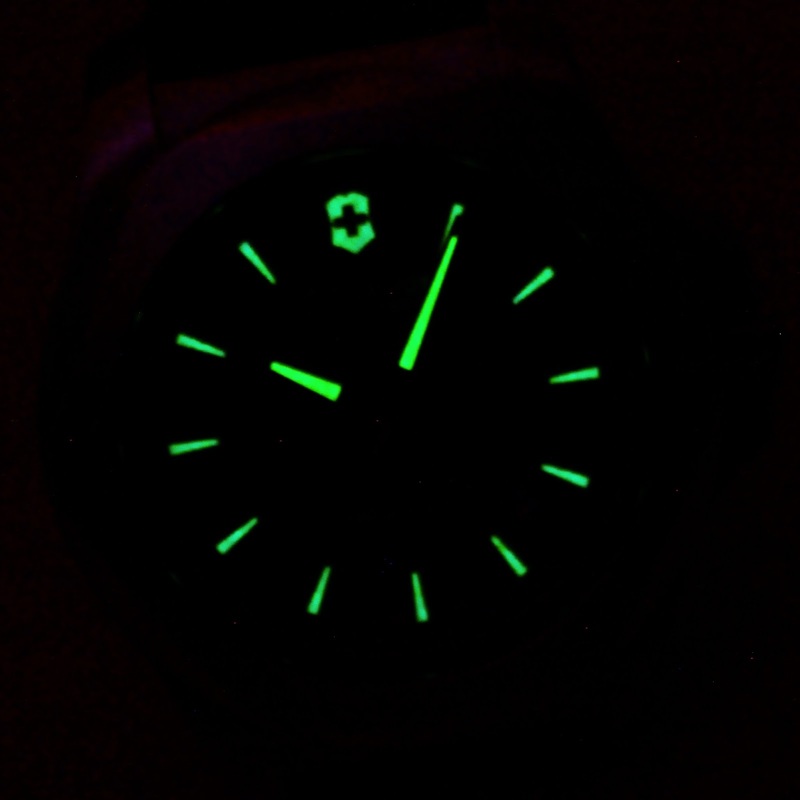 The radium fitting on the digit areas and the time needles of the watch work perfectly in the dark. The hour marks are clearly visible on the dial and there is a small 2 digit opening to show the date. Now when you first lift the watch in your hands, 99% chances are there that your first response will be “Wow its heavy!”, that’s because it really is. But not uncomfortable heavy even after a daylong use on your wrist. 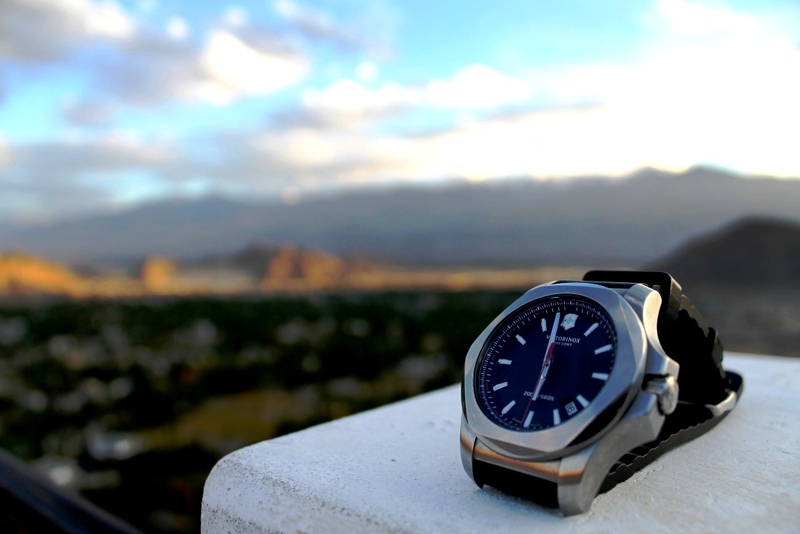 The watch feels pretty good on your wrist. 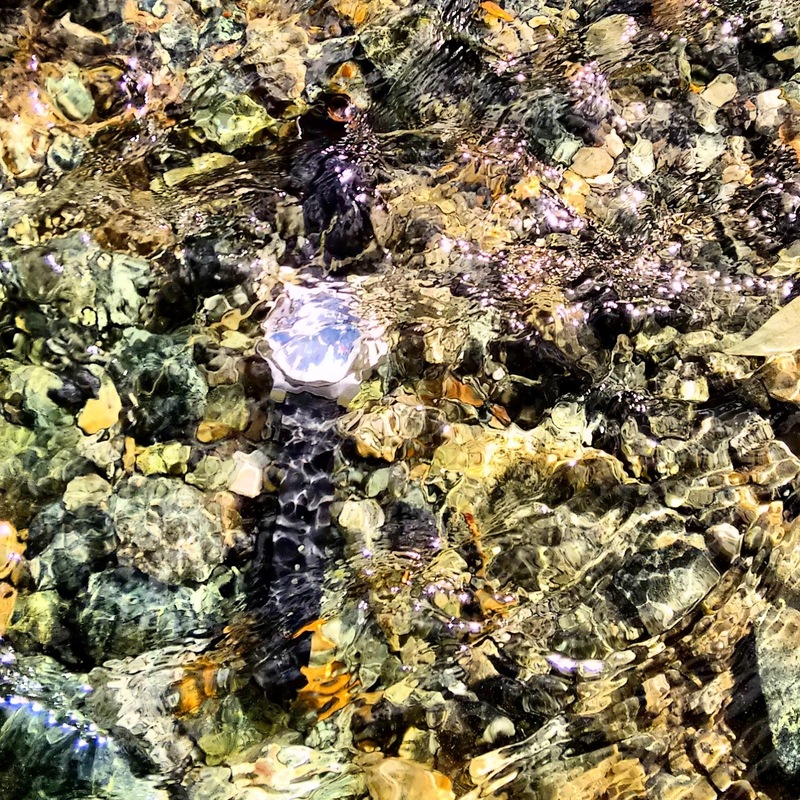 The watch came out clean after the wash and the water proof ability absolutely works like a charm. 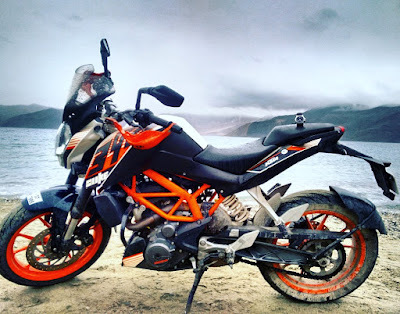 There was a time when the watch actually slipped out of my hands and fell on the road while clicking pics. It didn’t suffer a single scratch on the glass surface. In short, you can use this watch in any condition, be it water, in a dust storm, in snow, be assured that it won’t be damaged if it falls. 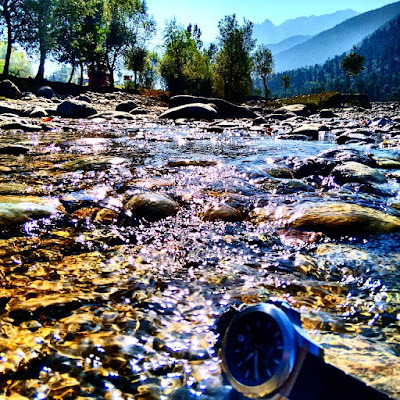 It gives complete peace of mind in terms of rugged usage which makes using this watch a great experience. 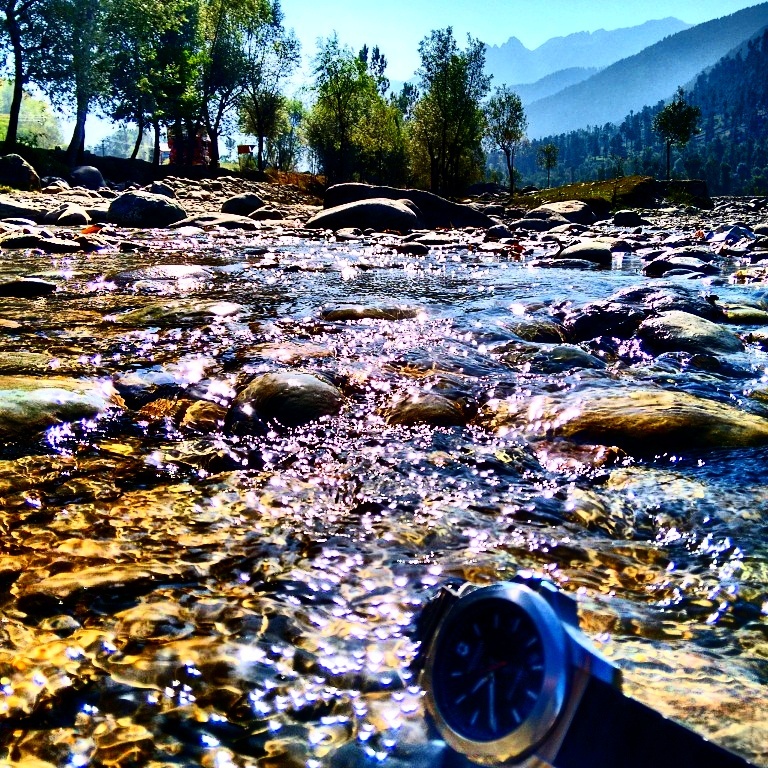 I like the way Victorinox has made the watch pure to its purpose, be it looks or the functionality. 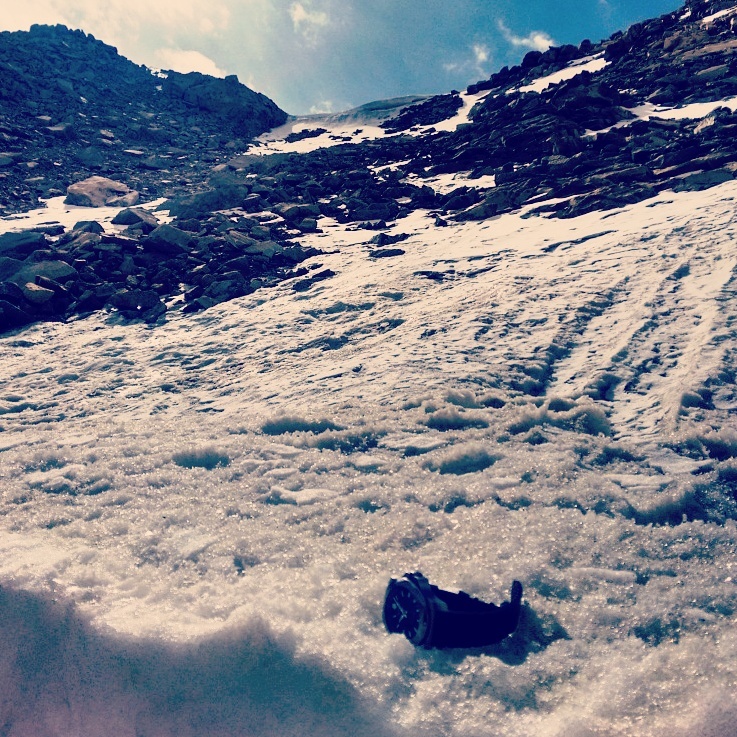 The watch is made to survive the tough elements of nature during your quest for outdoors and adventure. Yes it’s a sport watch but it does not have a timer or an alarm. May be the company intentionally kept away from it. But its like a classic sport watch. The approx. price of this watch is Rs. 30,000. 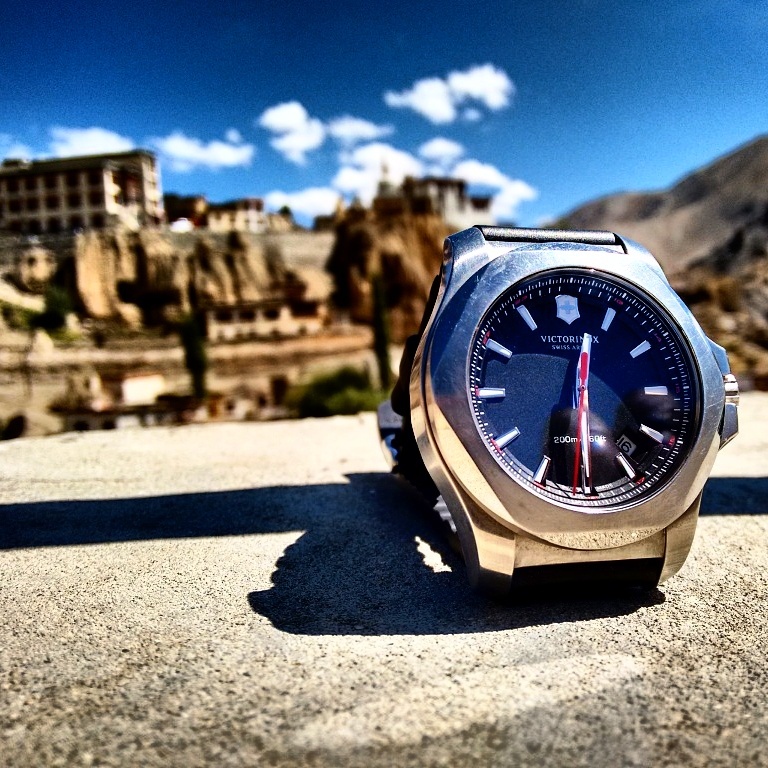 I thank Victorinox for giving me an opportunity to experience this tough and rugged watch, just the way I like my adventure expeditions! It sure is forged to resist. Update: Watch me riding my bike over this watch in this video. Wow! I enjoyed such scenario when I went to buy some pieces of Ethnic Bracelets for women. The fine world has simply great collections.